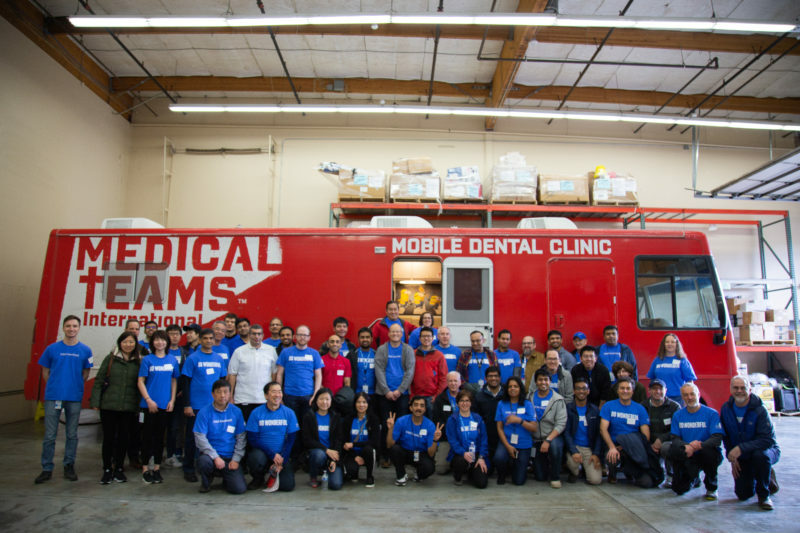 Your company can be a force for good through Medical Teams’ Compassion Force – our powerful community working to restore hope by taking action. Sponsor a Medical Teams Compassion Force kitting event to engage, educate and inspire your employees. What is a Kitting Event? Kitting events are excellent group volunteer opportunities. At these events, your employees will assemble hundreds of health essentials kits to be distributed to our local and global communities. At $10 per kit, each health essentials kit provides one month of essential care to beneficiaries. What’s more, your employees will be educated and inspired by our Lunch and Learn, global trivia game and – if held at one of our Medical Teams locations – a tour of our Real Life Exhibit. How Do Health Essentials Kits Help? These health essentials kits benefit people domestically and internationally. The hygiene essentials in these kits help prevent diseases and provide life-saving care in a time of crisis. The kits contain enough high-quality shampoo, deodorant, soap, combs, toothbrushes, washcloths, and floss to provide one month of hygiene care. Kitting events can be held at your company or at Medical Teams’ distribution centers in Tigard, OR or Redmond, WA. At Medical Teams, your employees will have the opportunity to visit our Real Life Exhibit. Contact us today at corporatepartners@medicalteams.org or 503-624-1090. For more information, see our Compassion Force flyer and kitting event commitment form.